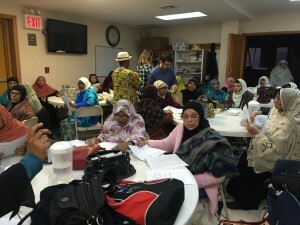 We are collaborating with a sister organization, Sapna NYC, on the Tiffin Project. The project is named after the “Tiffin,” a stainless-steel three-tiered utensil that is used to transport lunch in South Asia. In the city of Mumbai for instance, home cooked meals are delivered to workers in offices and factories by an army of delivery men or “Tiffin Walas” on bicycles, rickshaws and motorbikes. The Tiffin Project, helmed by Michelin-starred, Chef Surbhi Sahni, brings the familiar tastes of a home-cooked meal to our elders. 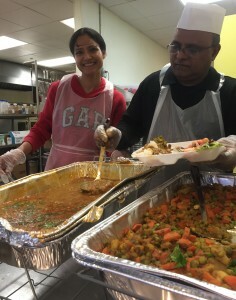 On Thursdays, the congregate meal we serve at our Queens Community House program in Kew Gardens is a healthy, culturally appropriate 6-item vegetarian lunch from Sapna NYC. The Tiffin Project also helps in the “economic empowerment of low income South Asian women,” who lack “job seeking skills, work experience and English language proficiency, ” according to Sapna NYC. 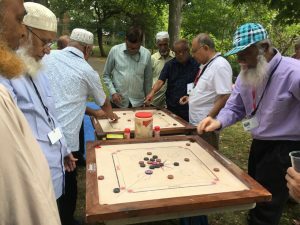 India Home recently undertook a Needs Assessment Survey of the Bangladeshi elders we serve in order to gain an objective and honest understanding of their needs. In the tradition of our partnerships with universities, the survey was conducted by graduate students from Hunter College Urban Policy & Leadership Graduate Research. 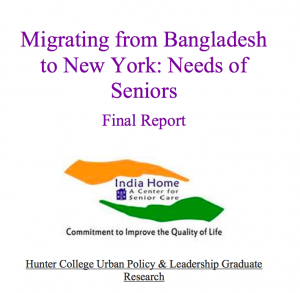 The findings from the survey were published in a report titled “Migrating from Bangladesh to New York: Needs of Seniors.” Working closely with India Home’s staff, graduate students, Katherine Elston, Marc Fernandes Oriade, Tanik Harbor and Jormary Melo co-authored the report. 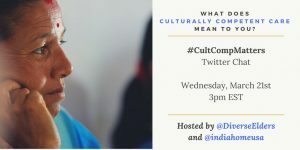 The 2010 US Census reported that the New York metropolitan area is home to the largest concentration of South Asians in the United States. 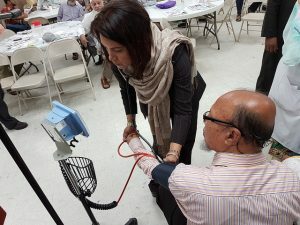 Bangladeshi seniors were the fastest growing group among all seniors in New York City, increasing at a rate of over 600% between 2000 and 2014, according to the Asian American Federation’s 2016 American Community Survey. Moreover, 52% of the respondents in Jamaica had arrived in the US only within the last five years, and an additional 15% within the last ten. As a result, 77% of Bangladeshi seniors have limited English proficiency–a fact that points to an even greater need for immediate support. What are the current housing needs for Bangladeshi seniors in regards to being both affordable as well as culturally-specific? What physical and mental health issues are impacting these seniors? Is access to quality health care available in their community? How does transportation (or lack of) impact their daily lives? 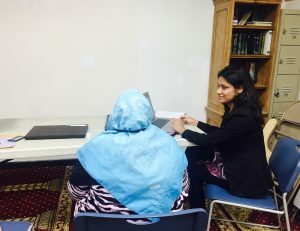 A robust survey tool and interview template was used to get answers from the elders at India Home’s Desi Senior Center. The survey was administered to 106 survey respondents and to nine key informants chosen from among other non-profits and leaders serving the community. The responses yielded a rich trove of data which was then analyzed to provide findings and make recommendations for the future. 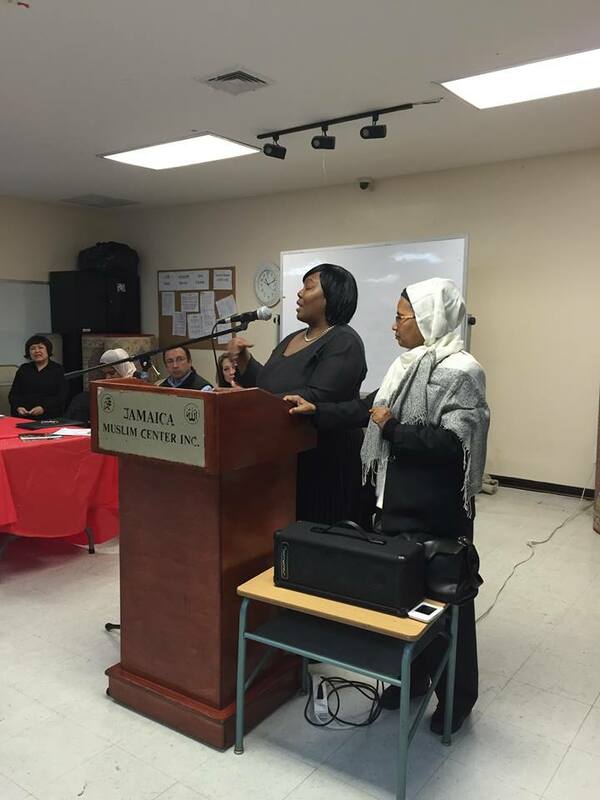 The research provided strong evidence of need for Bangladeshi seniors in Jamaica. The research team identified key findings within housing, mental and physical health, and transportation. In addition, the data revealed two important underlying concerns that should be addressed immediately. 1. 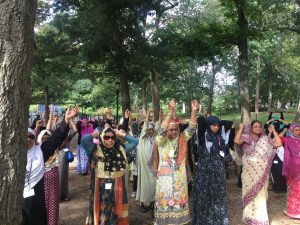 Bangladeshi seniors face the highest rates of poverty and low income status across New York City. 2. As one of the newest senior immigrant populations in the region, their English language skills are low. This lack of proficiency makes it extremely hard for these seniors to navigate the community and the social service resources they need for support. 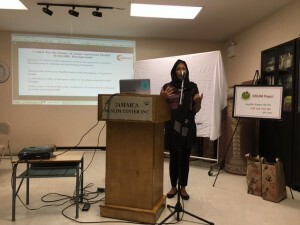 Furthermore, the findings from this needs assessment in Jamaica show even higher rates of lack of income and limited English proficiency than previously collected data from other city-wide research efforts. the underutilization of the public transit system due to cost, language barriers, and discomfort in navigating the system. The research teams recommended that all needs identified within the report be integrated into India Home’s long-term strategic plan and the specific recommendations provided be taken up for implementation. continuing to collect data to gain a deeper understanding of the community. 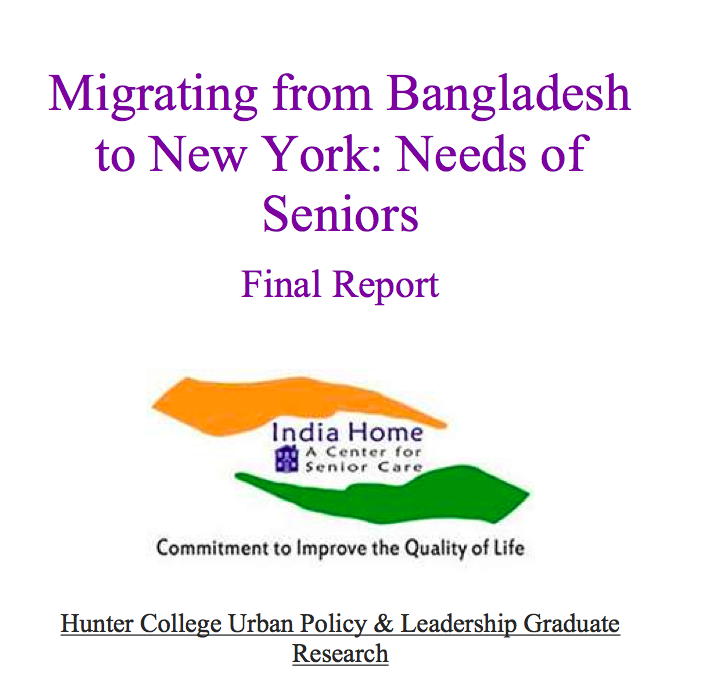 The report felt that by incorporating the report’s recommendations, India Home can further its mission to address the inequities that impact the most vulnerable community member, and help transform Jamaica’s Bangladeshi senior population from one with great needs to one with greater assets. Everett Lo leads the Regional Network for the White House Initiative of Asian American Pacific Islander that has over 33 agencies under it’s purview. Jan 11, 2017, Jamaica– India Home hosted a Listening Session with the White House Initiative on Asian and Pacific Islander Americans at the Desi Senior Center in Jamaica, Queens, NY. 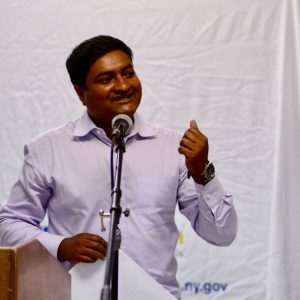 Everett Lo, as the lead for the Regional Network for WHIAAPI, helped India Home put together the Listening Session which brought together an unprecedented number of representatives of federal, state, and local government. 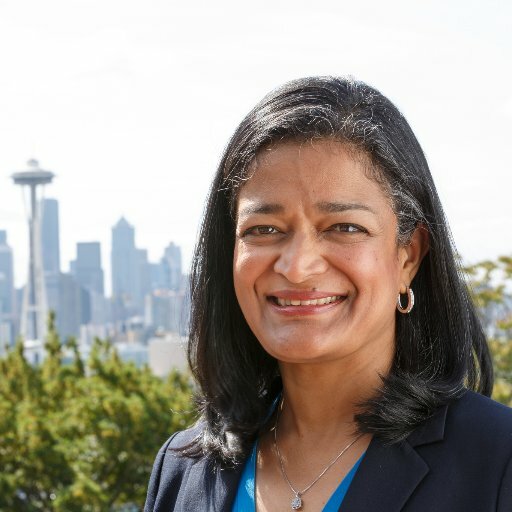 These agencies included the Administration for Community Living (ACL), the Centers for Medicare and Medicaid Services (CMS), US Customs and Immigration Services (USCIS), the US Department of Labor (USDOL), the Substance Abuse and Mental Health Services Administration (SAMHSA) and more. The aim of the Listening Session was two-fold: on the one hand it was to inform our Bangladeshi elders about the range of government services available to them. On the other, it allowed the representatives on the panel to hear directly from our elders and understand their unique concerns. 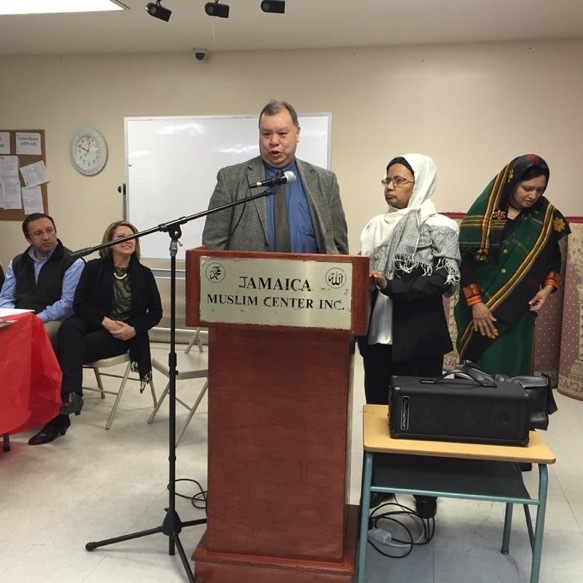 An interpreter translated their remarks into Bengali so the elders could follow along. Each representative spoke about the scope of their agency and its abilities to meet the needs of our elders: for instance, Shyconia Burden of USCIS talked about waivers that are available to elders taking the citizenship test and warned them about the dangers of handing original documents to unauthorized agents. Dennis Romero of SHAMSA discussed the support services available to combat addictions to prescription medicines. The representatives spent the second hour answering questions from the 70+ elders gathered in the room. A large majority of questions had to do with immigration and citizenship. 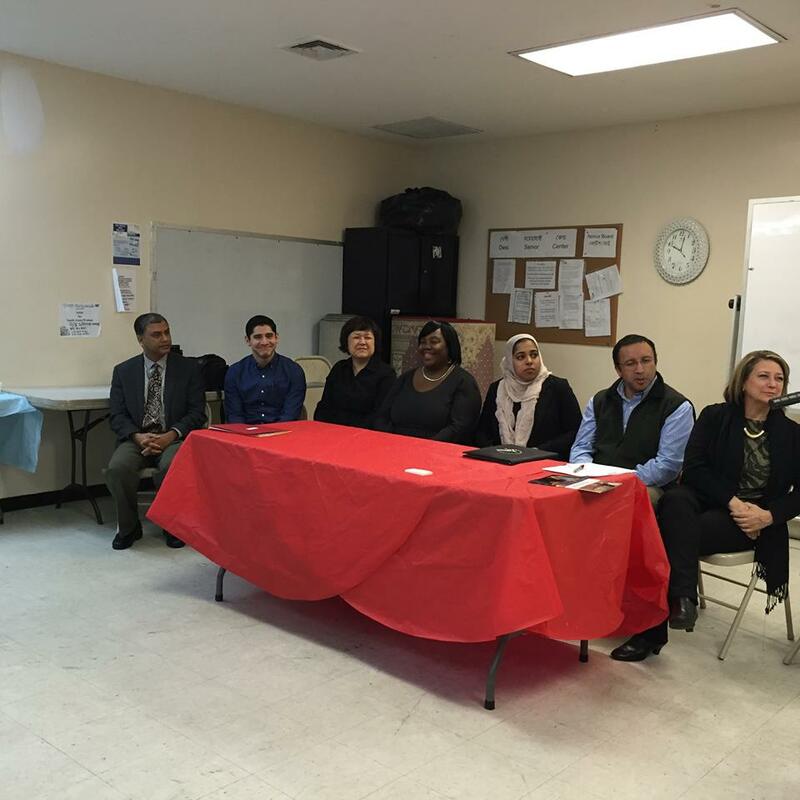 Our clients wanted to know more about the citizenship test, the rules for affidavits of support and so on. Medicaid and the ACA was another topic that gave rise to a lot of questions. Some common themes emerged. Our elders were concerned with access across the board: whether it was access to language, health care, information in a way they could understand or transportation and metro cards. 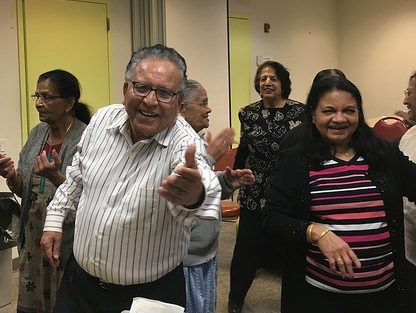 India Home’s Desi Senior Center provides congregate meals, ESL and exercise classes, cultural activities and social connection to over 150 elders a day, three times a week. 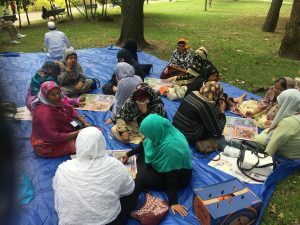 The elders we serve face unique challenges: 74% of all Bangladeshis in New York City were born outside the USA and 53% have limited English proficiency. 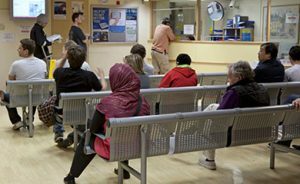 Anecdotal and case management evidence tells us that some of them are unfamiliar with American systems. Many elders struggle to understand how health insurance or the subway works. The panel was an opportunity for our immigrant elders to see American democracy in action and understand that the government is not some remote entity, but made up of people who, in theory at least, work for them. Our elders got an opportunity to meet the agencies which make the decisions that directly impact their lives. For the representatives at the table it was a chance to put faces to and connect with the clients they make critical decisions about, and understand their unique culture and circumstances.